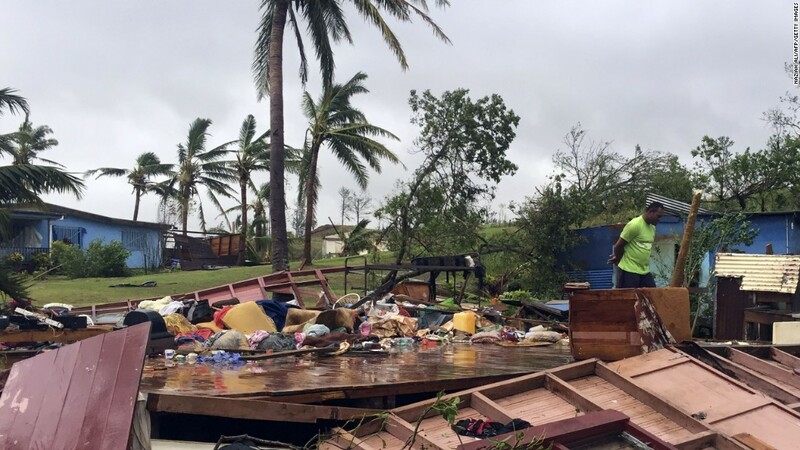 SOURCE, AFP – The death toll from super-cyclone Winston jumped to 42 Wednesday as concerns grew for remote Fijian villages still waiting for help after the most powerful storm in the Pacific nation’s history. “42 Fijians now confirmed dead — disaster officials continue to deploy teams to help those affected across Fiji,” government spokesman Dan Gavidi tweeted, raising the toll from 29 given Tuesday. “The numbers will continue to change as we have better access to information and establish communications,” the acting head of the Red Cross’s Pacific office Ahmad Sami told AFP. “The main priorities, for the whole country really, is to make sure that people have clean water and adequate sanitation,” he said. Suva-based Qarase said aerial photographs showed there were “probably a thousand houses destroyed” on the island. “I’m 75 years old and the damage I’ve seen, the extent of the damage, this must be the worst thing in living memory for Fiji,” he told Radio New Zealand. New Zealand’s foreign minister said two naval ships would depart for Fiji this weekend carrying building materials, water storage tanks and medical supplies. Fiji’s disaster management director Akapusi Tuifagalele said rebuilding would be a lengthy process. “We would expect the reconstruction and rehabilitation to run into a couple of years,” he told reporters. Survivors recalled harrowing tales of the maximum category cyclone, the first in Fiji’s history, which is already simply being referred to as “the monster” by locals. Sevanaia Ravania said his wife Titilia Mua, the village nurse, was trying to help her neighbours flee their house in Viti Levu’s Ra province when a tree fell on the building, crushing her. “I entered the house and crawled to her, calling to her but there was no response,” he told the Fiji Times. “All I could do was kiss her and thank her for her devotion to all the duties allotted to her,” he said. At Lautoka, in the island’s west, Luke Nacei told how his father Taniela Voreqe was killed after being lifted up bodily by the high winds and smashed into the wall of their home as he tried to keep a door closed. “Suddenly we heard a loud sound, and my father flew to the middle of the house. We called his name and tried to resuscitate him but it was no use,” Nacei told the Fiji Sun. He said his father’s last words were for his wife to look after their four children.